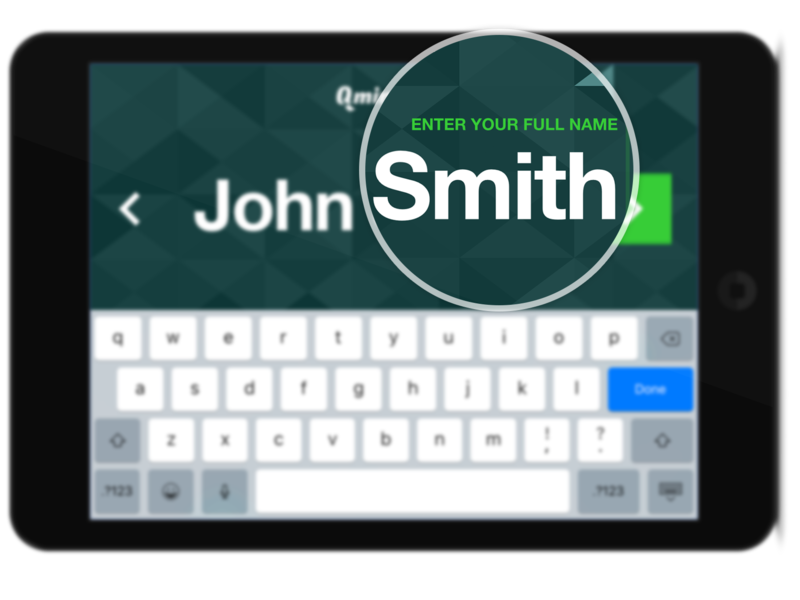 Your customers can line up by entering their name on the Qminder Sign-In iPad App. You can connect as many Sign-In iPads as you want. This is determined by your business arrangement. NB! Qminder iPad app requires iOS 11 or above. Your business area is big and has many entrances. Your business has heavy traffic (more than 300 customers a day) and expect busy hours. You are an event organizer, and you expect a number of guests to check-in in a short period of time. 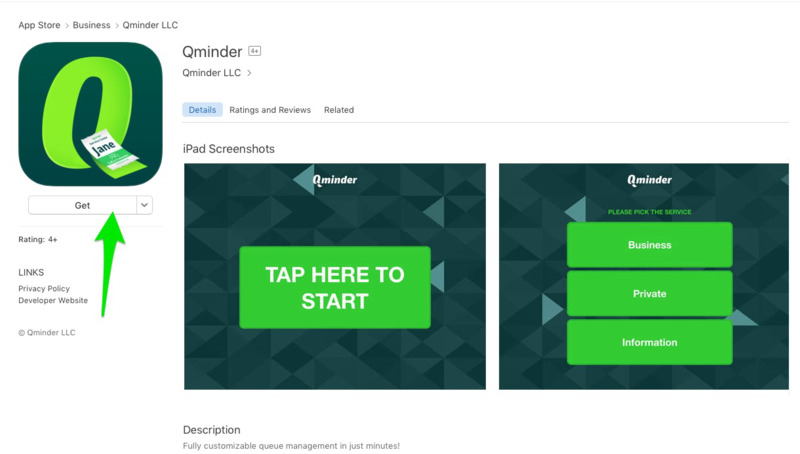 Download Qminder Sign-In App on the App Store, and open the app to see a 4-digit pairing code. Make sure you have accessibility as Location Manager or Administrator. Click on the Locations tab (the second icon from the bottom on the sidebar). Click on the location's name where you wish to add the iPad to. On the next page choose IPADS from the menu. Then click on Add iPad and type in the 4 digit pairing code from the iPad app. Your iPad is now connected. Now it's time to configure your iPad. Our iPad is available in 28 languages. You can include more than one language. When you have more than 2 languages enabled, a Label indicating the language preference (not system language) will be attached to the entry. When you have more than one type of service, you can set up them as Line and your customers can choose the service they need when they self sign-in. It is possible to include certain Lines on an iPad. This can be used to triage customers and direct them to a particular waiting area. NB! If you have only one Line available, then customers will not be asked to select a Line. 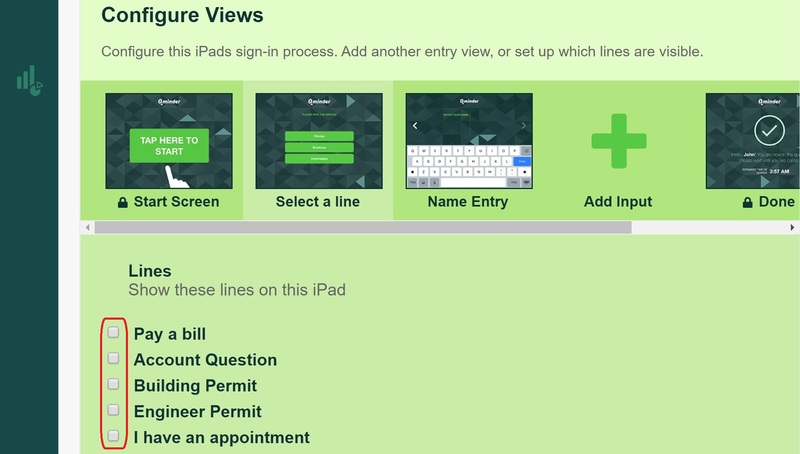 Our iPad can help you to collect customers' names (or full name), phones, emails, ID. Only the name field is required. You can set the others as optional fields. Click Add Input to add more fields. N.B. This is not to be confused with Input Fields. Input Fields are for employees to fill in for internal use. Learn more about Input Fields. 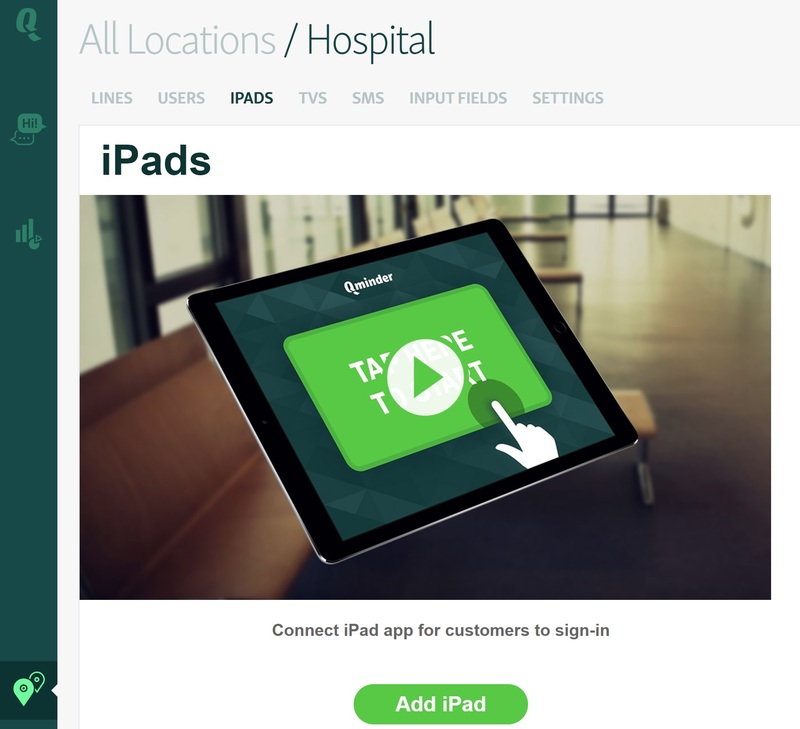 In order to prevent visitors from closing Qminder app and interacting with the iPad's other functions, turn on Guided Access which allows you to make Qminder the only usable app on the iPad. On the iPad go to Settings > General > Accessibility > Guided Access and switch Guided Access on. If Guided Access is turned on, open Qminder app and tap the home button three times, then tap Start on the top right corner and set a passcode. Now visitors can only interact with Qminder. If you want to exit Guided Access, just tap the home button three times and then tap End. 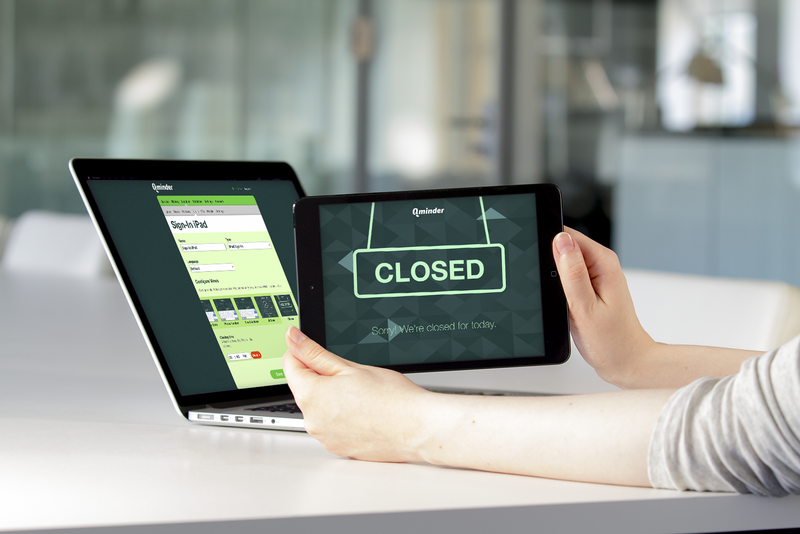 Our Sign-In iPad can be set to switch to Closed View at the end of your business hour. Click on Closed and type in your closing time.